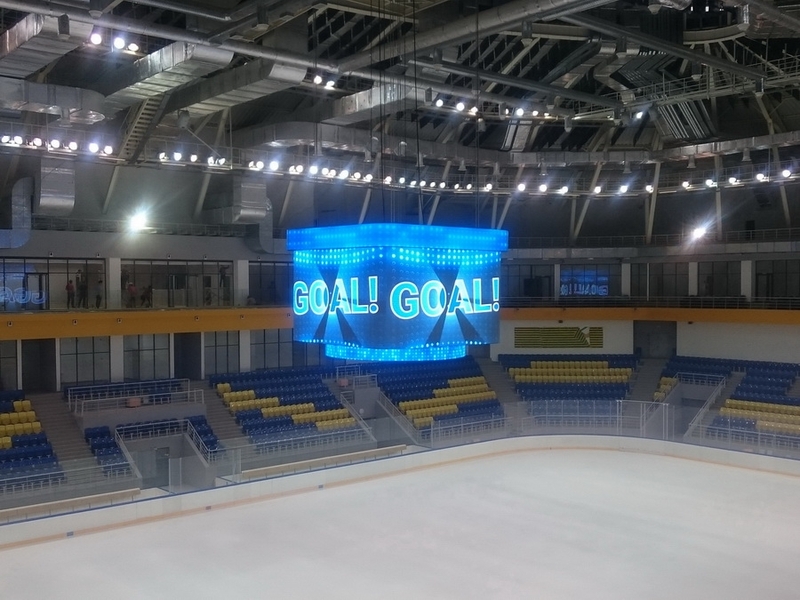 Halyk Arena, a brand new Ice Hockey arena and also future hosting venue for the 2017 Winter Universiade in Almaty, has become second successful installation in Kazakhstan right after Barys Arena in the capital city of Astana last year. The Arena is equipped with a custom designed center-hung videoboard with rounded corners using the latest 6 mm pixel pitch technology on one seamless LED canvas all the way around. 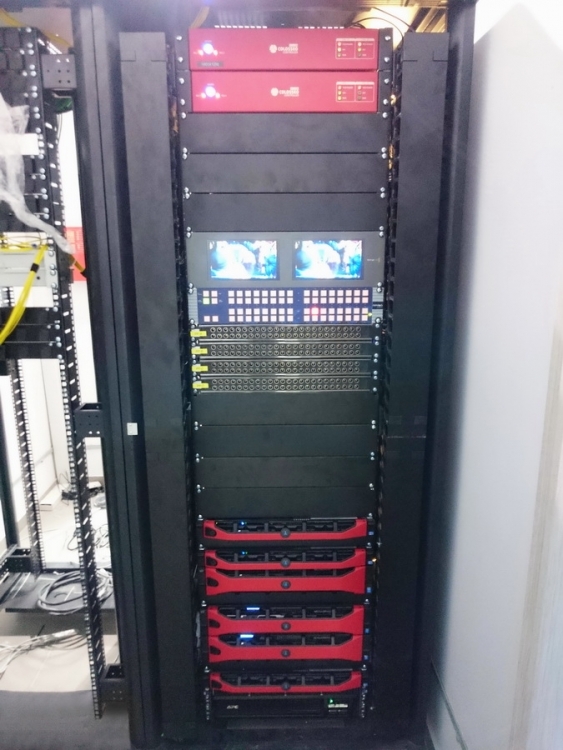 All multimedia is controlled by the unrivalved Single Media Platform (SMP) from Colosseo that manages 16 live video inputs while providing instant replays, advertisements and graphical content control. 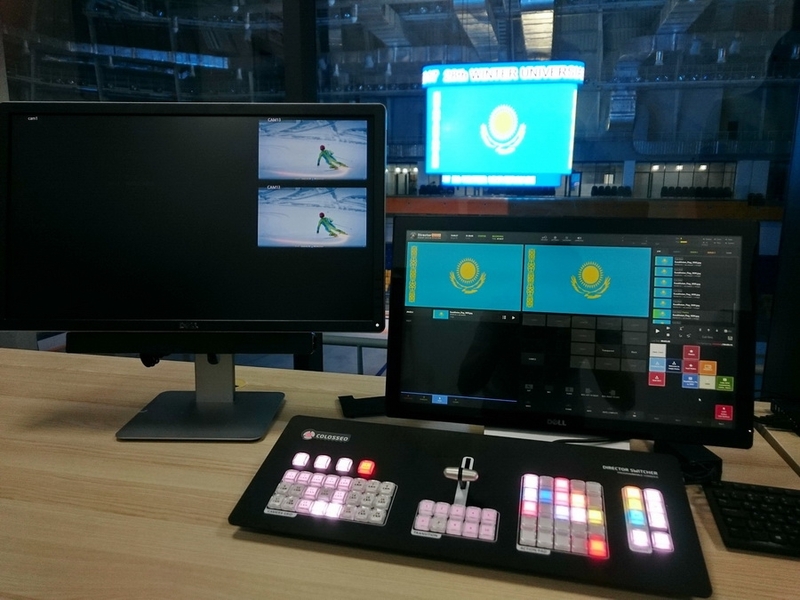 Operators were also equipped with the latest generation of Colosseo control surfaces for live production and replays for better and more convenient media production. Video analyses of controversial goal moments was also included as Colosseo installed its latest generation of Video Goal Judge together with recently upgraded wireless goal cameras with new generation casing and signal transmission. Timekeeping, scoring and statistics are under control of two Colosseo Timer consoles and all data is fully integrated with the Single Media Platform for better infotainment as well as with the Video Goal Judge where all important moments are marked with a timestamp on the interactive timeline. Colosseo also installed sports accessories like goal lights, penalty lights, Video Goal Judge beacon and sport clocks in the dressing rooms. Halyk Arena as a hosting venue of the 2017 Winter Universiade in Almaty/Kazakshtan has become another Colosseo fully equipped venue that will be hosting important international events.